The High-level meeting is scheduled to take place on 24 and 25 April 2018. It will open on Tuesday, 24 April, with an opening segment and contributions from high-level speakers with experience on peacebuilding and sustaining peace. It will then be followed by high-level plenary meeting of the General Assembly, where Member States will be able to deliver their statements. 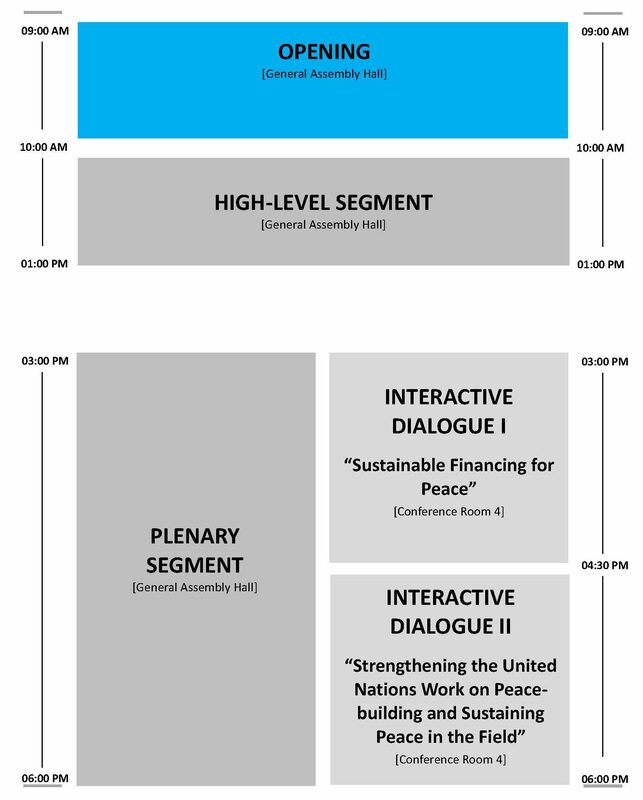 During the two-day event, four interactive dialogues will be held in parallel to the high-level plenary meeting, which will focus on objectives mentioned above and take into account the report of the Secretary-General as per resolutions 70/262 and 2282 (2016) on the Review of the United Nations Peacebuilding Architecture. On the first day, two interactive dialogues will be held in the afternoon. On the second day, the plenary debate will continue and another two interactive dialogues will take place in the morning. Delegations are invited to register here to speak in one of the four interactive dialogues. Find the full programme here. Statements will be delivered by Member States and Observers of the General Assembly. The list of speakers will be opened on 24 March 2018, a month in advance of the High-Level Meeting. Delegations wishing to be inscribed on the list of speakers of plenary meetings of the General Assembly are kindly requested to do so through the e-delegate portal. The list of speakers will be prepared on the basis of the established practices of the General Assembly and be made available prior to the meeting. Delegations participating in the plenary meeting will follow the usual General Assembly rules of procedure. To allow maximum participation, Member States are encouraged to limit their statements in the plenary meeting to three minutes for individual delegations and five minutes for statements made on behalf of a group of States. PaperSmart Services will be available for this meeting. Delegations are kindly requested to submit electronic versions of their statements for posting on the PaperSmart portal to papersmart[at]un.org. The title and the date of the meeting should be indicated in the subject line of the e-mail. 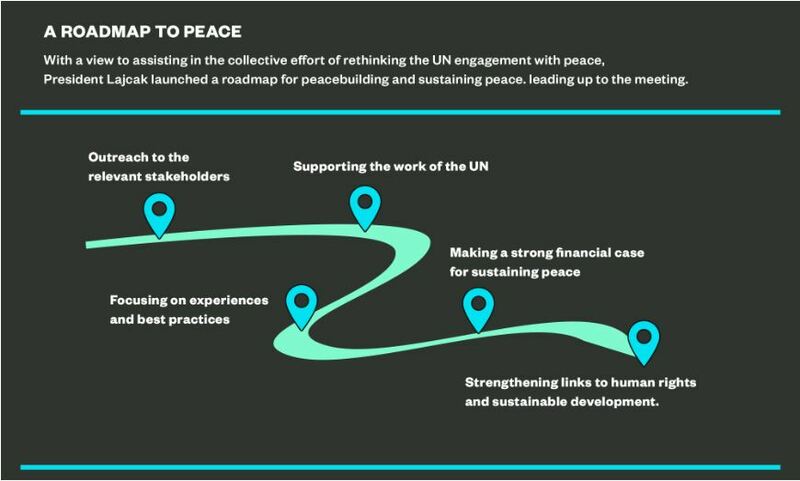 3:00 p.m. – 4:25 p.m. | Conference Room 4 As the 2018 UN-World Bank Pathways for Peace Report highlights, more resources are spent on addressing the aftermath of conflicts than on preventing them from flaring up and escalating. The study makes a compelling case for prevention by pointing out its economic benefits both nationally and internationally. The amount spent on preventing violent conflict in the first instance is a fraction of that spent on peacekeeping and humanitarian operations. The resolutions on the Review of the UN Peacebuilding Architecture emphasize the importance of “adequate, predictable and sustained financing in order to effectively assist countries to sustain peace and prevent the outbreak, escalation, continuation and recurrence of conflict.” The resolutions also recognize that to share risks and maximize the impact of peacebuilding efforts, strategic partnerships, pooled funding, blended financing among the UN, bilateral and international donors, multilateral financial institutions and the private sector are needed. Therefore, the General Assembly requested the Secretary-General to provide options on increasing, restructuring and better prioritizing funding to United Nations peacebuilding activities. Released in February, the Secretary-General’s report on Peacebuilding and Sustaining Peace (A/72/707-S/2018/43) provides Member States with a set of financing options. Interactive Dialogue I will bring together Member States, international and regional financial institutions, development banks, private sector, civil society and the UN system to reflect on the specific proposals contained in the Secretary-General’s report for sustained financing for peacebuilding and on ways to further mobilize resources. How can Member States ensure adequate, predictable and sustained financing for nationally led United Nations peacebuilding activities? How can financing for sustaining peace and financing for the Sustainable Development Goals mutually support and complement each other? How to address the continuing under-resourcing of the Peacebuilding Fund to take advantage of its catalytic nature? How to achieve the Quantum Leap in contributions to the Fund as per the Secretary-General’s report on Peacebuilding and Sustaining Peace? How to build partnerships with International Financial Institutions and the private sector that reinforce traditional financing mechanisms and lead to innovative ways to finance sustaining peace? 4:35 p.m. – 6:00 p.m. | Conference Room 4 Referring to the 2016 resolutions, a comprehensive approach to sustaining peace encompasses “the prevention of conflict and addressing its root causes, strengthening the rule of law at the international and national levels, and promoting sustained and sustainable economic growth, poverty eradication, social development, sustainable development, national reconciliation and unity, including through inclusive dialogue and mediation, access to justice and transitional justice, accountability, good governance, democracy, accountable institutions, gender equality and respect for, and protection of, human rights and fundamental freedoms.” The implementation of the broad concept of sustaining peace requires a coherent approach across the United Nations system and strengthened coordination among its principal intergovernmental organs. Building peace is at the core of the work of the United Nations and is an activity that demands a “whole-of-system” approach. 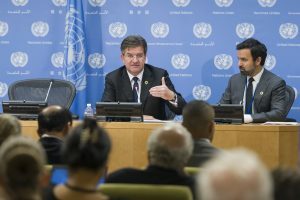 While acknowledging the need for changing the Organization’s working culture and methods, the Secretary-General has undertaken efforts to reform the United Nations’ system with a view to improving its effectiveness. His report on the restructuring of the United Nations peace and security pillar (A/72/525) contains specific proposals on how to prioritize prevention and sustaining peace. The Secretary-General’s report on Peacebuilding and Sustaining Peace (A/72/707-S/2018/43) further develops how to enhance United Nations’ policy and operational coherence to support peacebuilding and sustaining peace. Building on the enhanced flexibility in its working methods over the past two years, the Peacebuilding Commission (PBC) plays a key role as an advisory body that fosters better coordination and complementarity among the United Nations’ principal organs, governing bodies of UN entities and other key stakeholders, including international, regional and sub-regional organizations, international financial institutions, civil society organizations, women’s group, youth organizations, and the private sector. Interactive Dialogue II will discuss the United Nations toolbox for sustaining peace, and the recommendations of the Secretary-General contained in the report in support of sustaining peace in the field. It will cover the PBC and its innovative, new working methods, and its support to country and regional contexts. It will furthermore be an opportunity to hear from a member of the of the Advisory Group of Experts that provided the basis for the resolutions on the Review of the United Nations Peacebuilding Architecture. 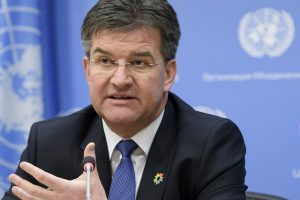 The Dialogue will further focus on how the three reform streams proposed by the Secretary-General can help strengthen the United Nations’ work on peacebuilding and sustaining peace. How can the United Nations better support Member States in the field comprehensively and strategically? How can the advisory and convening roles of the PBC be further enhanced and results-driven? How to further enhance the role of the PBC? How can the revitalization of PBSO contribute to enhanced coherence in support of the field? What is needed to further revitalize PBSO? 10:00 a.m. – 11:25 a.m. | Conference Room 4 While the primary responsibility of identifying, driving and directing priorities, strategies and activities for sustaining peace belongs to Governments, the resolutions on the Review of the UN Peacebuilding Architecture acknowledge the fundamental role of relevant stakeholders in assisting national authorities to pursue their peacebuilding objectives. They therefore call for “close strategic and operational partnerships between the United Nations, national Governments and other key stakeholders, including international, regional and sub-regional organizations, international financial institutions, civil society organizations, women’s groups, youth organizations, and the private sector.” The Secretary-General’s report on Peacebuilding and Sustaining Peace acknowledges that “an ecosystem of partners working in support of governments is critical for sustaining peace”. In this regard, the report underlines the role of the Peacebuilding Commission for enhanced collaboration with relevant stakeholders. As part of the activities outlined in his Roadmap to Peacebuilding and Sustaining Peace, the President of the 72nd session of the General Assembly, H.E. Mr. Miroslav Lajčák, convened a multi-stakeholder event, entitled “Sustaining Peace: Partnerships for Conflict Prevention and Peacebuilding” on 8 December 2017 at Columbia University to discuss the critical role of partnerships in sustaining peace and prevention. The two take-aways of the event were that engaging stakeholders are an important aspect of prevention in itself and that local expertise paired with national, regional and international capabilities are indispensable for the successful implementation of the resolutions on the Review of the UN Peacebuilding Architecture. Interactive Dialogue III intends to build on this discussion to strengthen strategic partnerships with the United Nations for peace. The panel will bring together representatives from the United Nations in the field, civil society, including women’s groups, regional organizations, academia as well as youth organizations. It will be an occasion for relevant stakeholders to reflect on how they can contribute to the current debate on prevention of conflict and to assist national Governments with their sustaining peace priorities. How to effectively build an “ecosystem of partners” for sustaining peace? How to ensure that partnerships build on the comparative advantages of different actors? How to effectively engage women and young people in peacebuilding efforts? How can partnerships between the United Nations and regional and sub-regional organizations be enhanced? How to effectively develop community-engagement strategies in cooperation with national authorities? Mr. Nik Gowing – President of the General Assembly’s External Advisor, International Broadcaster; Founder ‘Thinking the Unthinkable’ project. 11:30 a.m. – 01:00 p.m. | Conference Room 4 The resolutions on the Review of the UN Peacebuilding Architecture recognize that development, peace and security as well as human rights are interlinked and mutually reinforcing. The Secretary-General report on Peacebuilding and Sustaining Peace highlights successful examples of cross-pillar cooperation in conflict-affected countries, maximizing impact on the ground and providing for a coherent approach to the United Nations’ engagement in the field. The challenge is how to turn these ad hoc examples of good practices into a coherent and integrated approach to peace. The 2030 Agenda for Sustainable Development also acknowledges the interdependence between development and peace and security. It further recognizes that “there can be no sustainable development without peace and no peace without sustainable development”. According to the recent Secretary-General report on Peacebuilding and Sustaining Peace, most people in extreme poverty live in countries affected by conflict. The 2030 Agenda is the paramount goal of the United Nations, and it also happens to be the best defence against the risks of violent conflict. In this regard, the Secretary-General proposes concrete measures to strengthen leadership, accountability and capacity in both the headquarters and the field to support peacebuilding and sustaining peace and further builds on the proposed development reform (A/72/492/Add.1). Although sustainable development programmes are a core part of prevention efforts, they should be implemented in tandem with other policies that promote human rights and address root causes of conflict. As the UN-World Bank Pathways for Peace Report underscores, changing the incentives of actors to act violently is a fundamental component of preventing conflict. Interactive Dialogue IV assesses how to further integrate in a comprehensive manner peacebuilding and sustaining peace in the overall work of the United Nations in the field and at headquarters. The panel will bring together representatives from across the United Nations system to discuss ways to further strengthen a system-wide approach to prevention. How can the United Nations system ensure policy and operational coherence, accountable leadership and enhanced capacities for peacebuilding and sustaining peace across its pillars? How to better integrate a youth and a gender perspective to a cross-pillar approach to sustaining peace? How can sustainable development and the promotion of human rights be part of conflict prevention efforts? Member States are encouraged to host side events on various topics related to peacebuilding and sustaining peace and should contact Meetings Management Section to request detailed instructions via email at emeetsm[at]un.org or call + 1 (212) 963 8114. For more information on time and venue, please contact the organizers. Global Report on Food Crises Permanent Missions of European Union, Netherlands and Zambia, FAO and WFP on behalf of the Food Security Information Network (FSIN). The high-level meeting will be an occasion for participants from government, civil society, including women’s groups and representatives of youth, the private sector, regional and sub-regional organizations and academia to discuss ways they can support sustaining peace in practice. Although the primary responsibility of designing peacebuilding and sustaining peace policies rests with Governments, the United Nations needs to be ready to support Member States in their peacebuilding priorities while also building on local expertise of strategic and operational partners. Please find more information in our Logistics note. Please find more information in our Concept note. Delegations wishing to be inscribed on the list of speakers for the Plenary meeting of the General Assembly are kindly requested to do so through the e-delegate portal available here For Opening and Plenary, Member States and Observers of the General Assembly will follow the General Assembly seating protocol and each delegation of Member States will have six seats in the Hall. To allow maximum participation, Member States are encouraged to limit their statements in the plenary meeting to three minutes for individual delegations and five minutes for statements made on behalf of a group of States. PaperSmart Services will be available for this meeting. Delegations are kindly requested to submit electronic versions of their statements for posting on the PaperSmart portal to papersmart[at]un.org. The title and the date of the meeting should be indicated in the subject line of the e-mail. In view of time constraint, the time limit for interventions will be two minutes per speaker. Kindly note that there will be no pre-established list of speakers and the registration of interest to speak is for planning purposes only. Delegations are encouraged not to deliver prepared statements to keep the interactive nature of the dialogues. Member States wishing to speak will be accommodated as time allows. Delegations will be seated freely and are therefore advised to arrive on time. Please note that ECOSOC Chamber seating arrangement does not allow for 1 + 1 for all delegations. In view of time constraint, the time limit for interventions will be two minutes per speaker. Kindly note that there will be no pre-established list of speakers and the registration of interest to speak is for planning purposes only. UN system representatives wishing to speak will be accommodated as time allows. Registration of official delegations and members of the parties of Heads of State or Government, Vice-Presidents and Crown Princes or Princesses will be carried out by the United Nations Protocol and Liaison Service. Missions and offices are required to submit their accreditation requests by using the existing online e-Accreditation system, available through the e-Delegate Portal. Delegations wishing to obtain information on the system may refer to the updated “Guidelines on eAccreditation” and “Frequently asked questions” sections posted on the Protocol and Liaison Service website Heads of State or Government, Vice-Presidents, Crown Princes or Princesses and their spouses will be offered VIP passes without photographs. Deputy Prime Ministers, Cabinet Ministers and their spouses will be provided with VIP passes with photographs. and second day of the event is recommended to ensure enough time for the mandatory airport standard security screening before entering the compound. 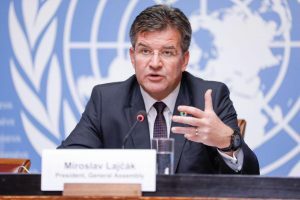 For any questions or in case of an emergency, the focal point for the special events ticket is Nikola Ivezaj, to be reached at nikola.ivezai[at]un.org. Member States are encouraged to host side events on various topics related to peacebuilding and sustaining peace and should contact Meetings Management Section to request detailed instructions via email at emeetsm[at]un.org or call + 1 212963 8114. Media are welcomed to cover all open segments of the High-Level Meeting and press encounters, in accordance with the United Nations media accreditation procedure. The accreditation for the High-Level Meeting closes on 20 April 2018. 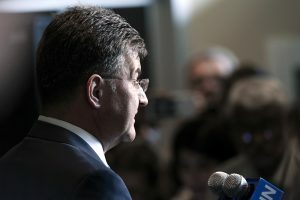 The information on press encounters can be found at the Media Accreditation and Liaison Unit (MALU) website, under Media Alert For any other media inquiry other than accreditation, please contact the spokesperson of the President of the General Assembly Brenden Varma at + 1 212 963 7238 or email at brenden. varma[at]un.org. Regarding accreditation, media accompanying Heads of State or Government or Heads of Delegation, including official photo and video, must request media passes in advance through the eAccreditation system on the e-Delegate Portal. Media members who wish to apply independently should follow the instructions. All members of the media, with valid pass, will be escorted to designated media booths or seating areas in all meeting venues by MALU. Questions or concerns should be directed to MALU at malu[at]un.org or +1 212-963-6934. 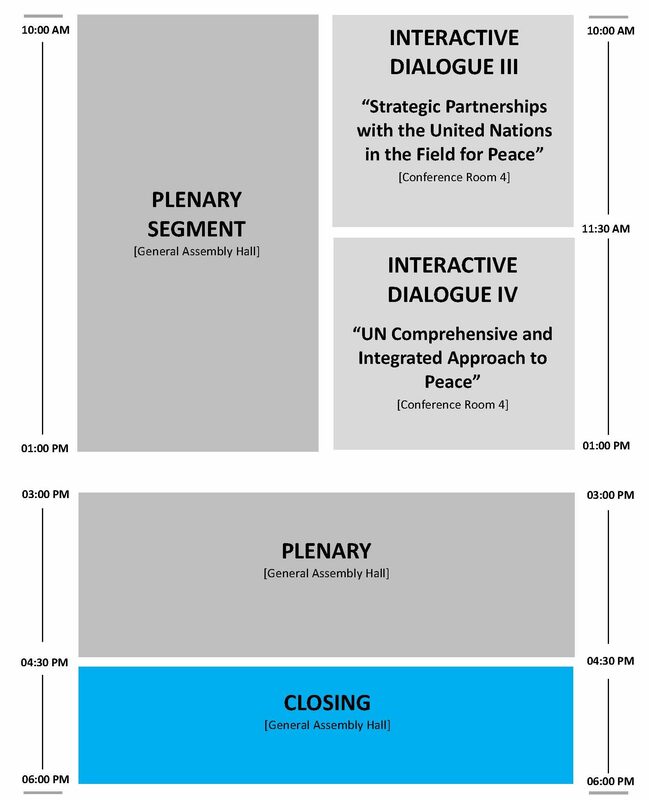 The High-Level Meeting, including the opening segment, the high level segment, the plenary meeting, four interactive dialogues and the closing segment will be officially livestreamed through United Nations webcast at http://webtv.un.org. The official hashtag of the meeting is #peace72. Additional information on the High-Level Meeting will be disseminated via Twitter @UN_PGA and the official website. Statements made in any of the six official languages are interpreted into the other official languages. Any speaker may also make a statement in a language other than the official languages. In such cases, the delegation in question must provide either an interpreter from the non-official language into an official language, or a written text of the statement in one of the official languages to be read out by a United Nations interpreter. On the basis of this interpretation or the written text which is accepted by the Secretariat as representing the official text of the statement, it will be interpreted into the other official languages by United Nations interpreters. When a written text is provided, the delegation concerned should make available to the interpreter someone who knows the language in which the statement is to be delivered and the official language into which it has been translated, to guide the interpreter through the translated text and to ensure synchronization between the speaker and the interpreter. Detailed arrangements for interpretation from non-official languages, including access by non-United Nations interpreters to the interpreter booths in the General Assembly Hall, must be made in advance through the Meetings Management Section (telephone: + 1 212 963 8114; e-mail: emeetsm[at]un.org. The interpreter or the guide provided by the delegation should be brought by the delegation to the conference officers’ desk at the front of the General Assembly Hall 30 minutes prior to the delivery of the statement. President of General Assembly engagement with stakeholders, in the monthly luncheon with the United Nations Secretary-General. President of General Assembly engagement with stakeholders, in meeting with Assistant Secretary-General for Peacebuilding Support Office (PBSO). President of General Assembly attends ministerial level meeting on “Pursuit of Peace through Nationally owned mechanisms: learning from countries experience”, organized by Sierra Leone as chair of The G7+ (Group 7 plus). President of General Assembly attends meeting of the Group of Friends of Mediation, organized by Turkey and Finland. Letter from President of General Assembly to Member States on modalities of the High Level Event on Peacebuilding and Sustaining Peace. President of General Assembly engagement with stakeholders, in a meeting with Undersecretary-General for Political Affairs (DPA). President of General Assembly participates in a video message in the Eight High Level Retreat on the Promotion of Peace, Security and Stability in Africa, organized by African Union in N’Djamena, Chad. The President of General Assembly participates in a video message and the President of General Assembly team attends Asia Conference on Peacebuilding Conflict Prevention, in Seoul, Republic of Korea. President of General Assembly attends informal retreat organized by Peacebuilding Support Office and Dag Hammarskjöld Foundation, on implementing resolutions on review of peacebuilding architecture, Greentree, United States. The President of General Assembly releases his roadmap on Peacebuilding and sustaining peace. Briefing from Chief of Staff of President of General Assembly to Member States on modalities of High-level Event on Peacebuilding and Sustaining Peace, New York, United States. The President of General Assembly holds a dialogue with civil society, academia and the private sector, entitled “Sustaining Peace: Partnerships for Conflict Prevention and Peacebuilding,” at Columbia University. To read the concept note here. President of General Assembly to attend meeting of the Group of Friends of Sustaining Peace. 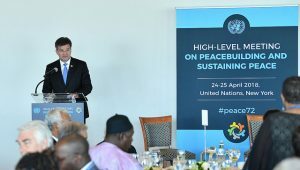 Invitation Letter from President of General Assembly to Member States to participate in the high-level event on Peacebuilding and Sustaining Peace on 24 and 25 April 2018. The President of General Assembly to participate in a meeting with Group of Friends of Security Sector Reforms (SSR) to discuss SSR in the context of the Sustaining Peace. The President of the General Assembly delivers speech presenting his priorities for 2018, including peacebuilding and sustaining peace, youth, water and migration. The President of General Assembly participates in The Doha Regional Dialogue on Sustaining Peace, in Doha- State of Qatar. The President of General Assembly engagement with stakeholders; in meeting with H.E. Mr. Cho Tae-yul, Chair of the Peacebuilding Commission (PBC). President of General Assembly engagement with stakeholders, in the monthly luncheon with United Nations Secretary-General. The President of General Assembly engagement with stakeholders; in meeting with H.E. Mr. Ion Jinga, Chair of the Peacebuilding Commission (PBC). The President of General Assembly delivers a keynote address at High-level seminar “Humanitarian Negotiation and International Mediation: Building Bridges”, in New York. The President of General Assembly attends informal breakfast meeting entitled “The UN Approach to Sustaining Peace: insights for the High-Level meeting”, hosted by the Geneva Centre for the Democratic Control of Armed Forces, in Geneva. The President of General Assembly visits Addis Ababa to discuss peacebuilding and sustaining peace with high-level officials of the African Union, Youth and Academia. The President of the General Assembly convenes an informal meeting to hear a briefing from the Secretary-General on his report on “Peacebuilding and Sustaining Peace” contained in document A/72/707-S/2018/43. The President of General Assembly circulates letter transmitting the logistics note for the High-level meeting on Peacebuilding and Sustaining Peace to the member states. The President of General Assembly attends the Ambassadorial-level meeting of the Organizational Committee of the Peacebuilding Commission (PBC). The President of General Assembly circulates letter appointing H.E. Mrs. Audra Plepytė, Permanent Representative of the Republic of Lithuania, and H.E. Mr. Masud Bin Momen, Permanent Representative of the People’s Republic of Bangladesh, as co-facilitators to lead the intergovernmental consultations on a draft resolution to be adopted by the General Assembly during the High-Level Meeting on Peacebuilding and Sustaining Peace on 24-25 April. The President of General Assembly meets with H.E. Mrs. Audra Plepytė, Permanent Representative of the Republic of Lithuania, and H.E. Mr. Masud Bin Momen, Permanent Representative of the People’s Republic of Bangladesh, the co-facilitators to lead the intergovernmental consultations on a draft resolution to be adopted by the General Assembly during the High-Level Meeting on Peacebuilding and Sustaining Peace on 24-25 April. The President of General Assembly circulates letter outlining the timeline for informal consultations on a draft resolution to be adopted by the General Assembly during the High-Level Meeting on Peacebuilding and Sustaining Peace on 24-25 April. The President of the General Assembly has visited Colombia and met with President of Colombia, H.E. Mr. Juan Manuel Santos Calderón, and other authorities and discussed the Colombian peace process, collaboration between Colombia and the United Nations and the Sustainable Development Goals (SDGs), among other issues. The President of General Assembly circulates letter transmitting zero draft of resolution entitled “Follow-up on the Secretary General’s Report on Peacebuilding and Sustaining Peace” and calling second informal consultations on 29 March. The President of General Assembly circulates letter transmitting revised draft of resolution entitled “Follow-up on the Secretary General’s Report on Peacebuilding and Sustaining Peace” and calling third informal consultations on 9 April. The President of General Assembly circulates letter transmitting final draft of resolution entitled “Follow-up on the Secretary General’s Report on Peacebuilding and Sustaining Peace” and calling silence procedure until 09:00 a.m., 16 April 2018, New York time. The President of the General Assembly delivers opening remarks at the “High-Level Roundtable on Security Sector Reform (SSR) and Sustaining Peace” organized by Group of Friends of Security Sector Reform, in New York. The President of the General Assembly delivers opening remarks at the “High-Level Side Event on Sustaining Peace and Human Rights” organized by the Permanent Mission of Germany, in New York. In the margins of the High Level Meeting on Peacebuilding and Sustaining Peace, the President of the General Assembly meets with H.E. Mr. Adama Barrow, President of Gambia; H.E. Mrs. Marija Pejčinović Burić, Deputy Prime Minister and Minister of Foreign and European Affairs of Croatia; H.E. Mr. Srdan Darmanovic, Minister for Foreign Affairs of Montenegro; Ms. Shamshad Akhtar, Under-Secretary-General for the Economic and Social Commission for Asia Pacific (ESCAP); H.E. Mr. Christian Leffler, Deputy-Secretary-General for Global and Economic Affairs of the European Union External Action Service (EEAS); and Mr. Neven Mimica, European Union Commissioner for International Cooperation and Development. In the margins of the High Level Meeting on Peacebuilding and Sustaining Peace, the President of the General Assembly meets with His and Her Highnesses the King and the Queen of Belgium; H.E. Heiko Maas, Minister for Foreign Affairs of Germany; and H.E. Mr. Fernando Simas Magalhães, Under-Secretary for Multilateral Affairs, Europe and North America of Brazil. The President of the General Assembly delivers opening remarks at the “Gender-equality as a key to the sustainability of peace” side event organized by the Permanent Missions of Bangladesh, Canada, Colombia, Germany and Chile, in New York. The President of the General Assembly participates in the Post-Conflict and Peacebuilding side-event organized by the Permanent Missions of Indonesia and Timor Leste. The President of the General Assembly participated in the Pathways for Peace roundtable organized by the World Bank Group and the Permanent Missions of Romania and Sweden. The President of the General Assembly delivered remarks at the “30 years of Peacekeeping” reception organized by the Permanent Mission of Bangladesh at the Delegates’ Dining Room in New York. In the margins of the High Level Meeting on Peacebuilding and Sustaining Peace, the President of the General Assembly meets with H.E. Mr. Michael D. Higgins, President of Ireland; H.E. Mr. Thomas Greminger, Secretary General of the Organization for Security and Cooperation in Europe; H.E. Mr. Vojislav Šuc, President of the Human Rights Council; and Ms. Mami Mizutori, Special Representative of the UN Secretary-General for Disaster Risk Reduction. The President of the General Assembly visits Sweden and addresses the 2018 Stockholm Forum on Peace and Development co-hosted by the Stockholm International Peace Research Institute (SIPRI) and the Swedish Ministry for Foreign Affairs. The President of the General Assembly participates in a panel discussion at the 2018 Stockholm Forum on Peace and Development, entitled: “The Urgency and Logic of Investing in Violent Conflict Prevention.” . The President of the General Assembly meets with H.E. Isabella Lövin, Minister for Development Cooperation and Climate and Vice Prime Minister, and H.E Margot Wallström, Minister of Foreign Affairs to discuss peacebuilding, sustaining peace the United Nations Sustainable Development Goals (SDGs) agendas. The President of the General Assembly visits the Kigali Genocide Memorial and Sustainable Development Goals Center for Africa accompanied by Rwandan officials. Media are welcomed to cover all open segments of the High-Level Meeting and press encounters, in accordance with the United Nations media accreditation procedure before 20 April 2018 here. For any other media inquiry other than accreditation, please contact the spokesperson of the President of the General Assembly Brenden Varma at + 1 212 963 7238 or email at brenden. varma@un.org. Regarding accreditation, media accompanying Heads of State or Government or Heads of Delegation, including official photo and video, must request media passes in advance through the e-Delegate portal. All members of the media, with valid pass, will be escorted to designated media booths or seating areas in all meeting venues by MALU. How do I register a speaker to the Plenary Meeting? HOW DOES A DELEGATION REGISTER ITS SPEAKER TO THE PLENARY MEETING? The list of speakers will be prepared on the basis of the established practices of the General Assembly and be made available prior to the meeting. How long is a speaker entitled to speak for at the interactive dialogues? Because of the limited time, panelists are encouraged to limit their initial remarks to 5 minutes to allow for interactive discussions. Member States and Observers are encouraged to limit their interventions and replies to 2 minutes. Delegations are encouraged not to deliver prepared statements to keep the interactive nature of the dialogues. Member States are also encouraged to register to speak in one of the four interactive dialogues on Peacebuilding and Sustaining Peace by e-mail to the General Assembly Affairs Branch (Ms. Mary Muturi, muturi[at]un.org). There will be no list of speakers in the interactive dialogues. Will there be opportunities for Permanent Observer organizations as well as UN agencies, funds and programmes to speak at the interactive dialogues? Regarding the four interactive dialogues, interested representatives of the United Nations system are invited to register their preference to speak in one of the four interactive dialogues on Peacebuilding and Sustaining Peace by e-mail to the General Assembly Affairs Branch (Ms. Mary Muturi, muturi@un.org). The deadline for the registration of interest to speak is Monday, 16 April 2018. PaperSmart Services will be available for this meeting. Delegations are kindly requested to submit electronic versions of their statements for posting on the PaperSmart portal to papersmart[at]un.org. The title and the date of the meeting should be indicated in the subject line of the e-mail. The selection process for stakeholders willing to speak from the floor and attend the event is closed. Early arrival, before 8:00 am on first and second day of the event, is recommended to ensure enough time for the mandatory airport standard security screening before entering the compound.